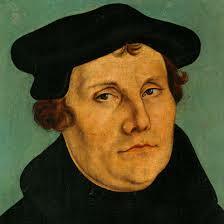 Over the past two weeks I’ve run a series on Luther’s Doctrine of the Two Kingdoms. While there are unquestionably portions of Luther’s ethic which are possibly problematic and have been interpreted poorly (see Nazi Germany), I do think the Two Kingdom’s can serve as a useful mode of thinking in today’s context, as I briefly noted over at Patheos Evangelical. I would love hearing any thoughts on the series and/or Luther’s value for today. By way of review for this series, below are links to all of the articles from this recent series. Luther’s Two Kingdoms: Applied Ethics? Luther’s Two Kingdoms: Christian Passivity?